As you know, the moving industry ebbs and flows along with the housing market. But no matter the time of year, you can still find moving jobs by strategically generating awareness of your services. We often get asked, “How many postcards do I need to mail to get enough calls to win a new customer?” Simply put, booking business is a matter of obtaining the best-qualified leads, determining the number of leads to contact, and making a strong "ask" at just the right time. The key is figuring out how to keep your marketing funnel full, even during the slower fall and winter months. Read on for our tips for increasing the number of calls coming in all year long. To keep your business busy, you need to fill your funnel with as many leads as possible. But not all leads are good leads. Raw real estate listing data includes many non-viable leads that will never become customers. Bank owned properties, empty lots, new construction, or vacant houses only fill the funnel with junk. You can waste a lot of time and money if you do not use qualified leads. Our qualified leads are verified to be homeowners that have just listed their homes for sale, are ready to hire a mover, and are homeowner owned and occupied. See how we turn the raw real estate data into viable leads here. Timing is critical. It’s important to be consistently filling your funnel with the freshest leads to build a strong response. Receiving leads as soon as possible after the listings appear on the market is a way to ensure that you are the first mover they call. FMAdata offers Daily Leads, a service to help you get your postcards into the hands of the best potential customers quickly. Once a new listing in your targeted area is collected, it is double-verified, and available to you the next day. Speaking of critical timing, with our postcard fulfillment option, a postcard is printed, addressed and sent to the new lead without you having to lift a finger. Your postcard arrives when it matters most: soon after the home is on the market. In a recent survey, homeowners were evenly split between different stages of listing their home for when they said they would make a decision. Mail your postcard too late, when a listing is pending, and you will have missed the period where most homeowners make their decision. Zero in on where your customers live. Do you tend to win business in certain neighborhoods? Can this area be defined by mile radius, zip code, or county? Determine your average move size. Do you tend to book three bedroom homes or six bedroom homes? Refine your list by understanding the real estate market and average asking prices in your area. Base the quantity of leads you’ll need on your budget. Our customers’ postcards average a 1-3% call rate. Which means that for every 100 postcards mailed our customer report they receive between 1-3 phone calls. Some customers mail only 25 per week and that’s ok. It just takes them a while to reach a quantity that starts generating phone calls. Automate lead fulfillment to keep your funnel full. With daily leads coming in you can reach homeowners quickly and regularly. That constant stream of communication to the leads in your specified area will achieve great results. Now it’s time to ask for the business. Calling during dinner or sending an email that goes right to spam is not the way to go here. Postcards aren’t intrusive like some other forms of advertising. They allow homeowners to receive your information and research your business on their own timeframe. When sent at the right time, postcards have the advantage of standing out and instantly providing all of the information someone about to move needs. There’s no need to print it out or write anything down—your contact information is ready to be put in their research file. 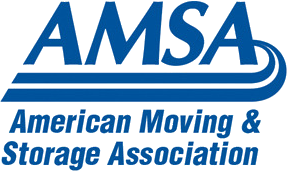 As discussed above, homeowners will start contacting movers based on their personal timeline. This might mean they call right away or perhaps they won’t call until they have a closing date. A homeowner’s time span from listing a house until moving typically ranges from one to five weeks. But while they’re anxiously waiting on selling their house, your postcard is there working for you. Homeowners hang on to postcards and will call you as soon as they are ready. After a few weeks of consistent mailing, your phone will start ringing. But is your staff prepared to put your company’s best face forward and close a sale? The phone number on the postcard should be answered by dedicated staff who are aware of the postcard mailing. We recommend having a copy of the postcard by the phone so whoever answers can refer to it if needed. Your staff also needs to answer the phone courteously and professionally. Ideally, whoever answers the phone can book the estimate. If not, make sure they have the tools to collect all the pertinent information so another staff member can call back quickly. These questions often get more specific answers than the typical “How did you hear about us?” For more information on tracking calls, read 4 Tips for Tracking Direct Mail Response Rates. Mailing during the fall is critical to keeping your sales funnel full during the winter. Failing to do so will result in an even bigger slowdown. Here are some ways to market in the fall. 1. If you have paused marketing for the “busy season,” now is the time ramp up your marketing. Postcards in the fall become the jobs in late fall and early winter. If you don’t market now you are guaranteed to slow down in later months. 3. Reach out to leads stored in your CRM that have contacted you over the last three months. Their moves may have been delayed and now is the time to ask for their business again. Bottom line? 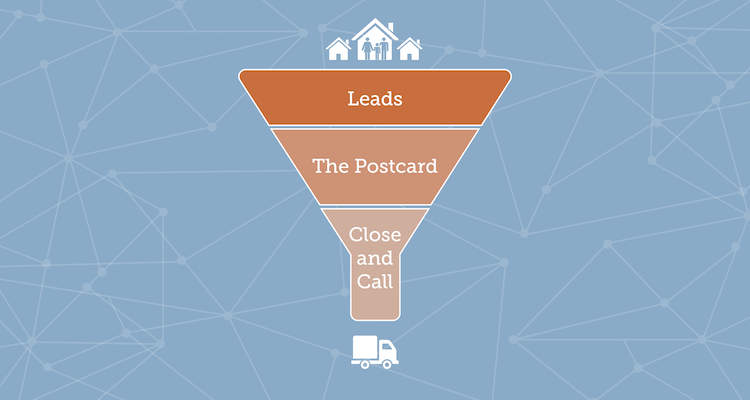 With a constant flow of the best leads in your direct mail funnel, your postcards will arrive just as homeowners are ready to move, and you’ll keep a consistent stream of calls, even in the slower months.